Good news for all Céline’s fan out there, Phoebe Philo has done it again and created a new bag for SS16, the Sailor Bag. Famous for creating bags that are minimalist by design and perfect for everyday use, the Sailor Bag is a timeless tote bag that slings over our shoulders without being too bulky. Measuring 30cm by 21.5cm in high, it’s a trapeze shaped bag with studded details and a slouchy look. The Sailor Bag comes with its own cord handles that you can use like a top handle or worn over your shoulders. Made from soft calfskin in warm earthly tones like tan, the Sailor Bag represents the simplicity and elegance the French house stands for. 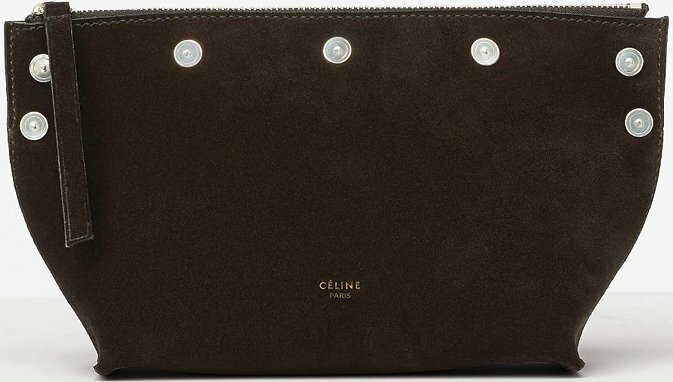 Functional yet fashionable, the size of the bag is has room to hold your phones, recipients, keys and beauty necessities. Celine is known for being subdued and understated with their designs – the brand chooses the ‘back to basics’ approach with most of their pieces…and not that we’re complaining. Of course, when you’re all dolled-up, sometimes all you need is a statement piece that’s not too statement piece-ish (you know, a simple clutch could do wonders). That’s where the Sailor Clutch Bag comes in, another soon-to-be favorite that’s definitely a keeper! Measuring 6” x 5” x 3” inches, you shouldn’t underestimate this baby, which comes in two equally stunning variations. Choose between black suede calfskin and brick natural calfskin – either way, you’ll be getting more than your pretty penny’s worth! 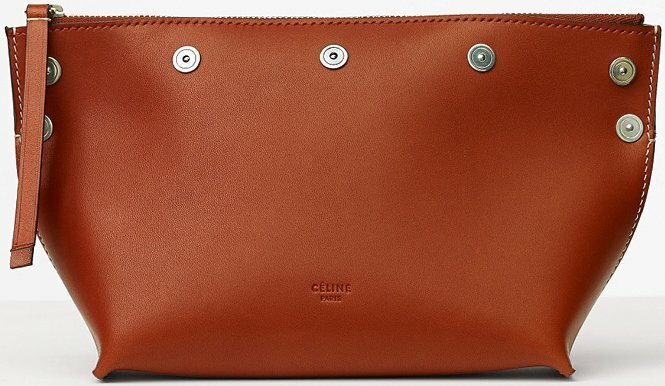 Priced at €500 for the black suede calfskin and €600 for the brick natural calfskin, you can get your very own Sailor Clutch Bag now via Celine boutique.